If your very excited parents are keen to kit out their place with essentials for your impending bub, here’s some ideas to point them in the right direction. 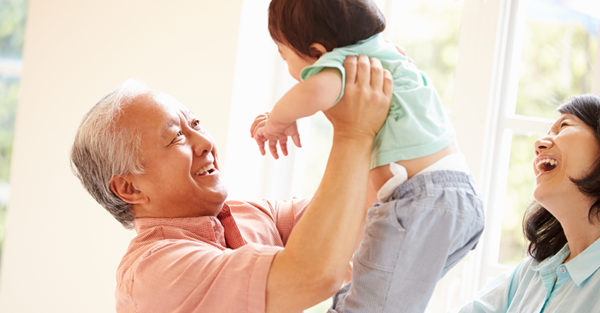 While it’s totally viable to shuffle essential baby gear from house to house, kitting out the grandparents’ place with the most-used kiddo equipment can make sharing care more seamless – if budget allows. Doubling-up is an especially practical idea if you’re planning more than one child – or if there are potentially other grandchildren waiting in the wings/womb in your family. If other siblings in your family – or your partner’s – are planning kids, you could even consider pooling funds for essential equipment and share the load. Heading back to work at some point? Kitting Nan and Pop out with their own baby stuff is a great idea if your mum and dad are going to be helping with childcare down the track (or even babysitting lots!). Figures from the Australian Bureau of Statistics tell us that 937,000 children received care from a grandparent on a regular basis in 2011 (the most recent date information is available), and with childcare costs increasing and places becoming increasingly hard to secure, it’s apparent that Grandparent Daycare is often vital to growing families. With all this in mind, here’s a bunch of baby basics for the willing grandparents in your life to consider. Not only will this prevent the scramble of swapping car seats, lugging carriers and switching strollers, your parents will feel more confident and at the ready to help out, 24/7. Here’s a few places to start if you’re keen for the grandparents in your life to be baby-ready. If you’ve switched a car seat back and forth between yours and another car, you’ll know that it’s probably not something you want to make a habit of. A convertible car seat can be a great investment in being baby-ready – and a surefire way to avoid the shuffle. A quality stroller will last through more than one baby and have decent resale value once you’re done with it, if you choose well and maintain it nicely. Look for a model that’s easy to fold up and down and manoeuvres seamlessly. The grandparents can be sleepover-ready in a heartbeat with a cute, comfy, easily stowed portable cot. You could even consider a proper cot, if you’re planning lots of tiny person pyjama parties. Perhaps your mum or dad are keen to revisit the cosy cuddles of your own childhood? 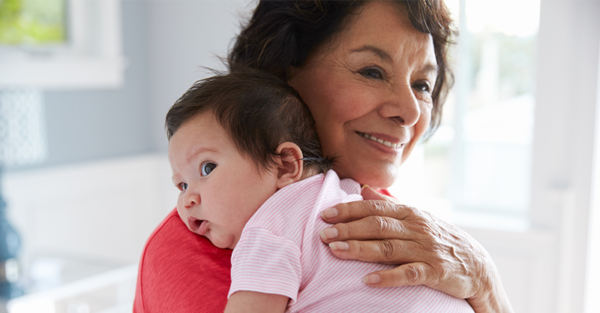 A baby carrier will fast-track snuggles, facilitate lovely walks and keep hands free to do other important grandparent-type things. Out of sight, but not out of mind. A baby monitor is an essential at home, so it seems only fair that grandparents get the same reassuring kit for their place. Consider a video monitor, if your mum and dad want to look at your cute baby all the time. For those moments when hands are busy or your baby wants their own space, you can’t beat a baby rocker. Somewhere safe and comfy to put the baby down, so they can watch the world go by is a good investment. Lots of baby rockers have entertainment built in, so shop around and choose something fun together. Of course, your parents can change your baby on their bed or the floor, but a change table keeps everything at hand – and saves creaky backs too! Make sure it’s easy to clean, has sections to stow important nappy-change products and folds away easily as well. 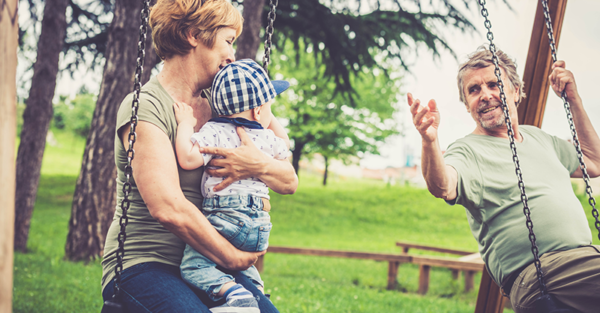 Kitting out the grandparents is the first step towards having a little time away from your baby, and it’s also a great way to help seamlessly facilitate a close bond between grandparent and bub. Are your parents or in-laws excitedly preparing for “their” new baby? !